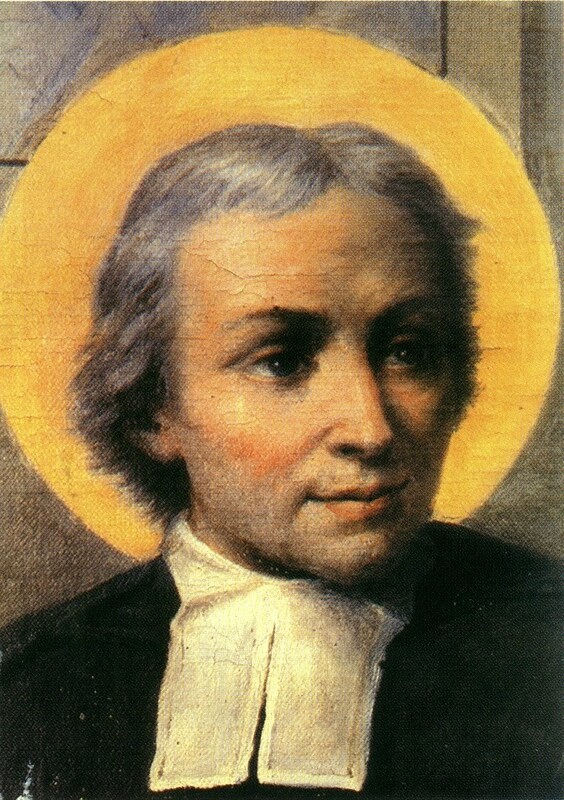 The Brothers of the Christian Schools, also known as the Christian Brothers, are a Catholic teaching order founded by St. John Baptiste de la Salle in seventeenth-century France. They first came to the United States in 1845, when they established a school in Baltimore, and by 1918 they had established five provinces in the United States: Baltimore, New York, St. Louis, San Francisco, and New Orleans-Santa Fe. The brothers first came to Texas in January 1861, when they took over the operation of St. Mary’s University in Galveston. This school survived the bombardment of the city by Union forces in January 1863, but the yellow fever epidemic of 1867 forced it to close. From 1869 to 1871 the brothers operated St. Joseph’s College in Brownsville but thereafter did not return to Texas until 1925, when they took over the two-year-old St. Patrick’s High School in El Paso, which had previously been under the direction of the Sisters of Loretto. On September 8, 1925, the renamed Cathedral High School opened with forty-five boys and under the direction of Principal Brother Ernest Cocagne, Brother Edward Bernard, and Brother Charles Frieden. Cathedral’s first graduating class, in 1927, had seven students. By 1933 the enrollment had grown to 200, but Cathedral shared the El Paso Community Center with a separate grade school until 1940. In that year the community center closed, the grade school moved, and the high school took over the entire facility. Despite tremendous academic success, however, by the mid 1960’s, the school had hit a recession. The school building was growing increasingly dilapidated, the cost of educating each student had increased, and the school, despite parental and student support, was in the red financial wise. 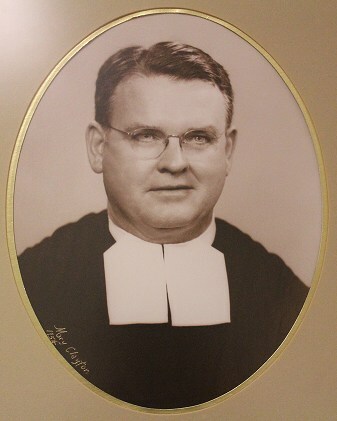 Fearing the worst, the district headquarters of the Christian Brothers ordered the Brothers to leave Cathedral, essentially finalizing the school’s end. 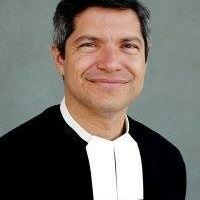 However, Brothers Stephen Tessandier, Amedy Long and the other Brothers at Cathedral went against the directive. In partnership with Bishop Metzger and an increased drive of support and labor from alumni, parents, and community members Cathedral once again began to thrive by the start of the 1970’s. 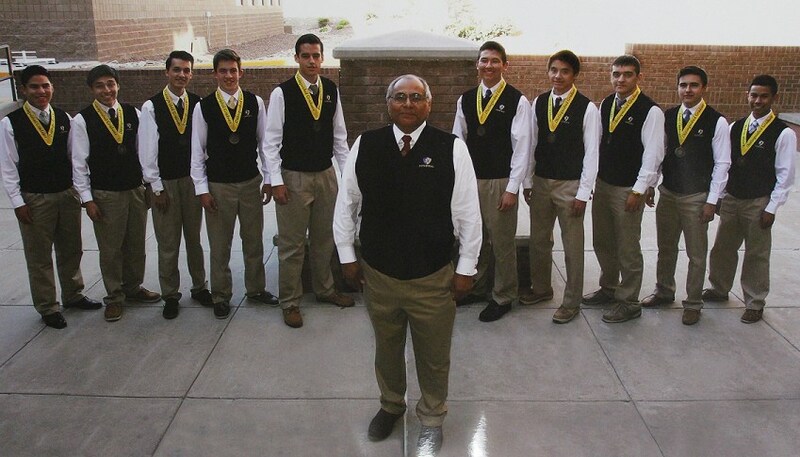 By 1981, when the brothers of the Christian Schools celebrated their tercentenary, Cathedral was the only private religious school for boys in El Paso and its graduating classes were now routinely over 100 students. As the 1980’s culminated, Cathedral celebrated one of its biggest milestones, 100% of Cathedral’s 1989 graduating class had been accepted to an institution of higher learning. Cathedral had become a shining example of helping young men become the best version of themselves. 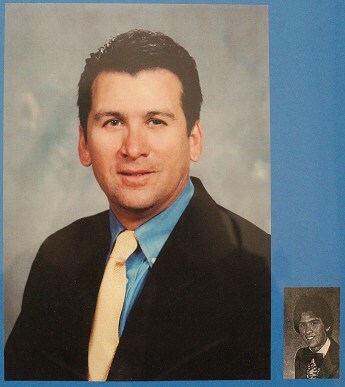 In 1994, Leo Cancellare became the first non-Brother Principal in the history of Cathedral High School. Known to those around him as the spirit of Cathedral High School it was not uncommon to hear Principal Cancellare in the hallways screaming for all to hear “It’s a great day to be an Irishman, isn’t it? !” Principal Cancellare brought energy and an even more endearing personality to Cathedral. Every morning Principal Cancellare would stand in front of the school and greet every boy at the start of the day. 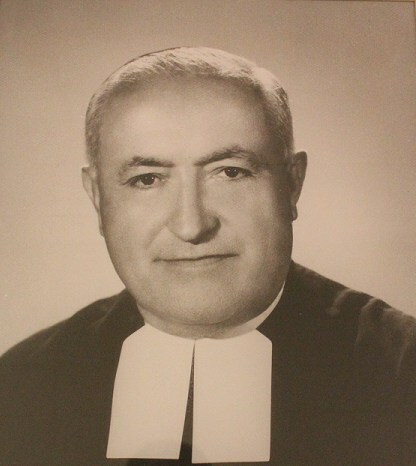 One reason Principal Cancellare was such a good fit for the job was that, like the Brothers, he viewed his work as a religious calling. “This school is the church,” he used to say. And he had something in common with the low income and working-class student body: their raw hunger for a better life. On April 24, 1998, however, Principal Cancellare was diagnosed with Cancer. Five days later, after the diagnosis was confirmed, he was taken to Cathedral, where he called two school assemblies, one for juniors and seniors and a second for freshmen and sophomores. Recalled Joseph Moody, at the time Cathedral’s student council President: “Leo told us straight up that he had a rare form of cancer but for us not to worry. He told us to worry about Cathedral and said that he was going to get rid of the cancer.” The students believed him. On February 9, 1999 when Cathedral’s basketball team faced El Paso’s Bel Air High School, which was the city’s top-ranked team, approximately one thousand people were in attendance. At halftime Cathedral was down by 16 points when Leo, who had shrunk to 150 pounds, quietly entered the gymnasium using a cane to support himself. During a time-out in the third quarter, he walked slowly to the center of the court. He was too weak to lead a spoken cheer, so he led Cathedral in a silent one. The cheer, a series of hand signals, was one the Cathedral boys knew well. 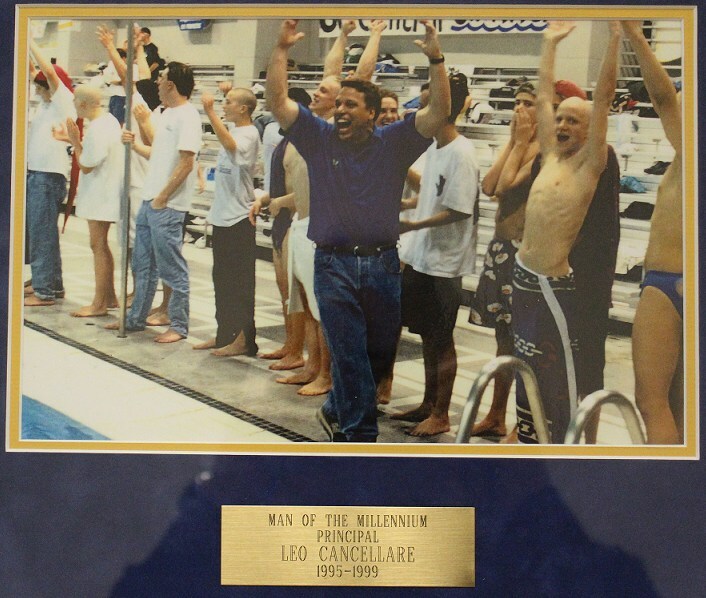 Leo performed the cheer once in a completely silent gym. The second time he lifted his hands, the boys yelled out the letters I-R-I-S-H in deafening unison. At the end of the cheer Leo simply lifted his left index finger high above his head—his signature gesture—indicating “number one,” bowed his head, and walked back to his seat. “I think we know what we have to do,” Govea, the basketball coach, tearfully told his team in the huddle. By the end of the game the score was Cathedral 72, Bel Air 66. The Cathedral of the 2000’s thrived even after the passing of Principal Cancellare. With Sam Govea, Class of 1980, at the helm Cathedral High School entered the 21st century with momentum. As the decade progressed Cathedral proved to be innovative and on the cutting edge of academics, being one of the first schools in El Paso and Texas to offer Early Admissions Dual Credit college courses through the El Paso Community College. Under the guidance of Chief Justice Richard Barajas, Class of 1971, Cathedral became known locally and nationally for its penchant in graduating students who received their Associate’s Degree weeks before their Cathedral graduation. As the school’s prestige and reputation grew so did its ability to provide students with the individual attention needed to claim opportunities rarely heard of in the border region. Starting in 2010 Cathedral implemented its now widely known Writing Symposium; a winter break long intensive writing center dedicated to revising and editing students’ applications for college and scholarships. As of 2016 Cathedral’s graduating classes have earned upwards of $10 million dollars each year in scholarships from colleges and universities since 2010 with the Class of 2016 receiving a city record $41 million dollars. Alongside its overall record number in scholarships Cathedral has been designated as the high school with the most Gates Scholars in history with 59 and for three years in a row (2014, 2015, 2016) has set or tied the national record for most Gates Scholars in a year. At the beginning of 2011 Brother Nick Gonzalez, Class of 1980, returned to his alma mater at the helm of Cathedral High School, first as Principal and now in his current role as President. As one of Cathedral’s favorite sons and the face of Cathedral, Brother Nick, in a short amount of time has begun to leave an indelible mark on the school both as an administrator and advocate for students. Under his tenure Cathedral has added a Chinese Mandarin class through a partnership with the Confucius Institute of New Mexico State University. The relationship has provided Cathedral students with the ability to learn from native Chinese teachers and affords the opportunity for a select group of students to travel to China each summer. Brother Nick is responsible for bringing the Lasallian Volunteer program to Cathedral which brings college graduates from prestigious and select universities to work with students to develop their faith through retreats, border immersion programs, and class level bonding exercises and activities. As a champion of students Brother Nick follows the example of Principal Cancellare and greets every student as they enter Cathedral, knowing students by heart and urging them to work with purpose. Outside of his formal roles Brother Nick is a fixture at Cathedral sporting and social events as well as in the El Paso community and beyond serving on the board of the UMC Children’s Hospital, St. Mary’s University in Winona, Minnesota, San Miguel High School, and the District Board for the Christian Brothers. From its humble origins in 1925, Cathedral now enters its 92nd year of existence, with the same mission it set out to accomplish upon conception- to help young men become the best versions of themselves. We encourage you to think about Cathedral as an option for your son, for your family, for your future. Cathedral High School, above all else is a great place for a young man to grow up. It's a great day to be an Irishman!